Lemurian Seed Crystal Power~ Tuning Into Love and Light! Working with a lemurian seed crystal during healing sessions can be incredibly powerful, whether you’re working with a physical, mental, emotional, or spiritual condition. Lemurian Seed Crystals are a type of quartz crystal which assists in connecting with ancient and angelic wisdom. You can recognize Lemurian Seed Crystals by their unique ladder-like groves that cover the crystals from top to bottom. Like all crystals they come in a variety of shades and sizes, and many have inclusions, or imperfections, that make them even more beautiful. They range in hue from smoky, pink, blue, apricot, green, pink, and golden. First found in Brazilian mines, pieces are now being found in Columbia, Russia, Zambia, Tibet, and the USA. Most crystals have a cloudy surface while the Columbia crystals have a purer clarity and have been nicknamed “The Blades of Light.” Those coming from the Himalaya’s are thought to have a very special energy as well. Lemurian Seed Crystals hold and transmit a very special energy. Said to be sent to Earth by the ancient High Priestesses of Lemuria, they contain the rich spiritual teachings of the Lemurian people. If you’re not familiar, Lemuria is a lost and sacred land which existed thousands of years ago. Their civilization was not only advanced, but was of a higher consciousness as well. They seem to have been a gentle people who cared greatly for the Earth. No physical proof currently exists from this ancient land, but the legends that remain tell us that it is now beneath the Pacific Ocean. Similar to Atlantis, Lemuria sank when the divine teachings where misused. This abuse meant that the Lemurians would leave this physical plane and the land would sink beneath the ocean. In anticipation of this, the Priestesses sent their collected wisdom deep into the Earth which then crystallized as quartz. Similar to how we clean, charge, and program crystals today, Lemurian seeds were programmed with information as they crystallized. The grooves that mark these crystals are coding – much like a modern bar code, you can consider it a spiritual bar code. When you tune into this coding, you will awaken the sacred teachings held within. Because they have a distinct yin, or female, energy, Lemurian Seeds are fantastic receivers of information. They contain Divine Feminine blessings which are hoped to bring healing to the planet. All quartz crystals are amazing amplifiers that will help to raise your vibration, as well as increase inner vision, and clarity. 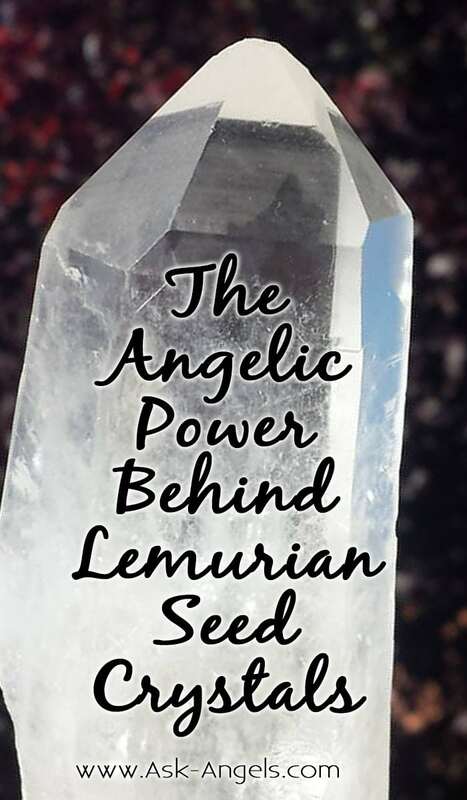 In addition to this, Lemurian Seed Crystal's specific vibration will help you to tap directly into the angelic realms, where you have a clear connection with angels and ascended masters. To work with the crystals, hold the seeds in your dominant (sending) hand and begin by setting an intention to center your attention on manifestation. You can then either move into prayer, visualization, or simple mindfulness. The quartz acts as a conductor of your intention and amplifies it out to the universe. The Lemurian seed energy will awaken the priestess energy and increase the wisdom of your own inner teacher. By regularly working with these crystals and getting to know their energy, you will gain access to higher aspects of your own soul and reach your full energetic and spiritual potential in this life. Ask anyone who has regularly used this type of crystal and they’ll tell you with great certainty that they have received a lot of information from Lemurian seeds. This is how we know how the crystals were left for us and why. When you use them, they tell you. Many healers have reported a sense of being transported back to that ancient civilization. People have reported greater concentration, balanced emotions, feeling unconditional love, and physical healing from the loving and powerful energy of these crystals. Think of the ladder like marks on their bodies as a way to ascend ever higher toward your angels and to the Divine. All crystals have their methods for finding their way into the correct keeper’s hands. This is especially true for Lemurian seeds. These crystals find those who are most able to do the work of accessing the information stored within and helping to heal the world. Doing this work has the added benefit of nourishing your own soul as well. 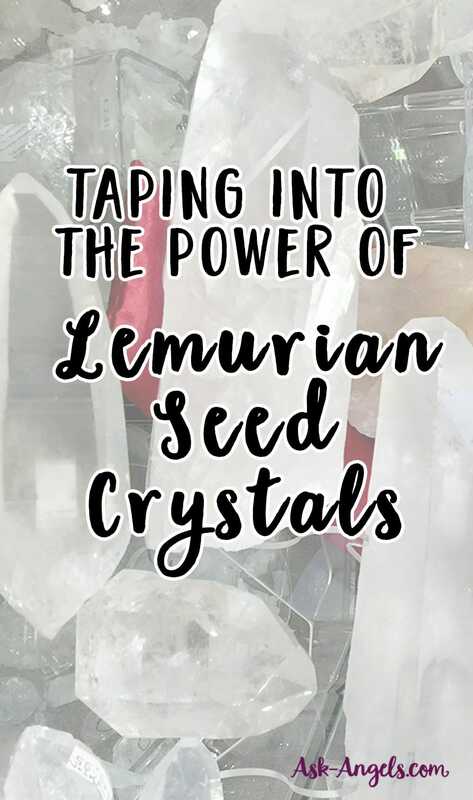 If you regularly work with a Lemurian seed, offering healing on a spiritual level to individuals or humanity as a whole, then you will simultaneously receive their healing energies in your physical, mental, emotional, and spiritual bodies. Lemurian energy will enter you and leave you feeling fulfilled. This in turn allows you to reach a more meaningful level of your own spiritual growth. You’ll find more clarity, discover spiritual talents, and move beyond the ego to allow your heart and soul to make more life decisions. Whatever your spiritual practice – meditation, yoga, Reiki, Qi Gong, chanting, providing a spiritual reading for another – holding a Lemurian seed while you do so will amplify your connection to Lemurian wisdom as well as with your own angels. If you have a Lemurian seed, it will guide you on your practice and how to make the most use of it. You must simply listen and understand that you are interacting with this crystal each time you use it. Because they are so powerful you must regularly clean, charge, and reprogram them. Just simply sitting with them in order to set an intention for yourself or others, will give you access to the information they want to share. If you are doing healing work on another, hold the crystal in your dominant hand and imagine white light streaming from the source, through your body, into the crystal, and then into the person you are working on. This technique works whether the person is physically present with you or not. One method of accessing the crystals that I find particularly helpful involves meditation. Hold the Lemurian seed in your dominate hand for a few minutes. This allows you to establish a connection. Then move into a meditation practice of your choosing. 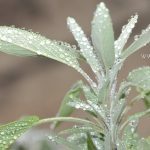 Either breath awareness, mindfulness, or any technique that allows you access a deeper calm and sense of your higher self. Then bring your attention to the crystal in your hand. Run your fingers over the marks on the body of the crystal. If you feel a sense to stop your fingers at a certain place, do so. Gently press the spot where your finger stopped. Now relax and allow yourself to listen and be open to receive any messages that are trying to come though. Continue moving your fingers along the ridges, allowing more messages and sensations to come through. Ask specifically for your angel to be present and ask for a message. If you feel strongly, engage in a mental conversation in order to deepen your connection with your angel and the crystal. Continue this practice every day. It might take a few sessions before you receive a message, so don’t be discouraged. There are several variations of Lemurian Seed Crystals, all carrying different vibrations and uses. This is the name given to the red and pink tinged Lemurian Seeds. Most likely due to exposure to hematite or iron, these crystals are closely connected to Mother Earth and to the Highest Priestesses most closely related to Divine love. Keeping Scarlet Temple Quartz near you reminds you of this connection and love within yourself. If you’re looking to move deeper into a specific spiritual teaching or a sacred vision that you’ve had, this is a perfect crystal to use. Golden in color due to exposure to Iron Oxide, these are powerful healers to use in your practice. When you use them regularly, they help you to become a channel for universal life force energy. If you’re a practicing healer, these crystals are invaluable when working on others. These crystals are found in the Columbian mines and are named thanks to their high clarity – almost like a fresh water stream. And just like their composition, using these crystals will bring you extreme clarity. They are a direct connection to the Divine and can be useful in unlocking the guru within as well as hearing the messages of the angels. If you have a major life decision to make, a Blades of Light Lemurian Seed will shed light on the highest and best way forward. More of these crystals are being discovered and it’s believed that it is because spirit is using them to move all of humanity to a higher vibration. What’s truly unique about Starseed variation are the hieroglyphs that appear on some of the faces. Use this if you have karma induced health problems. Some have even shared experiences of being transported to other dimensions when they regularly use Starseed. For those interested in past life exploration, use Starseed in combination with White Heulandite. Use Lemurian Seed Crystals in combination with other crystals to access higher vibrations. 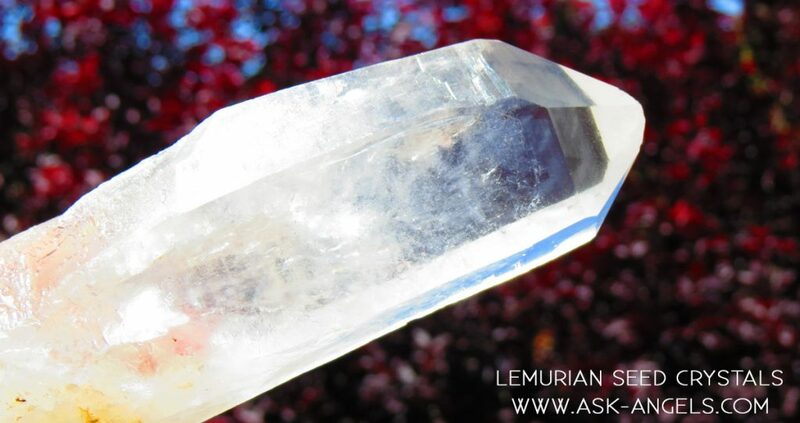 Any high vibration crystal will heighten the power of the Lemurian Seeds. 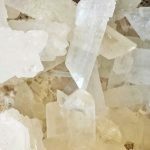 There are many places where you can buy Lemurian seed crystals like local crystal and metaphysical shops, psychic fairs, as well as gem and mineral shows. Online, they're available through sites like Amazon or Etsy. How do you cleanse and recharge your crystals.. Do you do this evertime you use it? Many, if not most quartz crystals have a ladder-like appearance on one or more of their sides. Lemurian Seed Crystals are a scam created by retailers in order to sell normal quartz points for ridiculous amounts of money. Actually your own self is telling you that you don’t need of use of the power of a lemurian seed. Indeed, they all do have ladder like creations, but the lemurian seed has them deeply built, to the point where you can see them clearly and feel them. This type of crystal is regular quartz, but with a higher meaning and intention for your own learning of the lemurian way. Namaste. Where does one get the Lemurian Seed Crystal? Great question Kim! Some communities have local crystal and metaphysical shops… Lemurians can also be found at psychic fairs, or gem and mineral shows. Online, they’re available through sites like Amazon or Etsy.